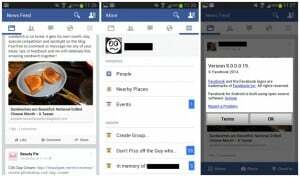 How to get the latest version of Facebook on your phone? 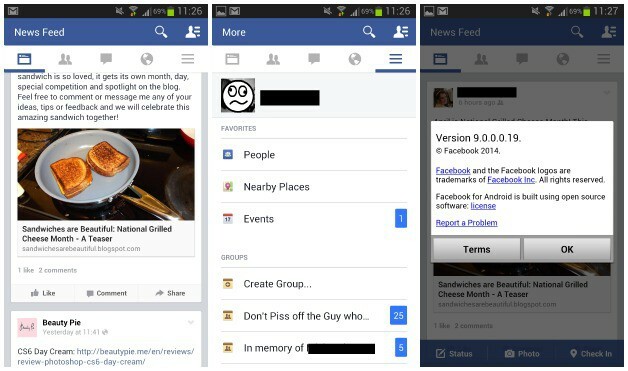 – If you are part of a beta testing group for Facebook, you can’t use this version. If you are a beta tester and want the 9.0 version, simply just quit the group. – Now you must join the Alpha Tester Group. Go on your browser and click on the Alpha Tester Group to join. – Introduce the correct information in the popup screen and click join. – Now, as a Alpha Tester you must follow the instructions in the home page to get the new UI. – Visit this link and click Become a Tester. – Uninstall the older version of the Facebook app. – Go to Google Play and re-install Facebook. – You must turn on automatic updates, as the app will update considerably in the future time in alpha testing. – Log on and enjoy it. It’s possible that you won’t get the latest version of the UI. If so, go to Settings in the Facebook App and then clear data.If you install the 9.0 version of Facebook, tell us what you think about it. Enjoy it !